An accepted fact of life is monster trucks rule. With that in mind, the Monster Jam Triple Threat Series returns to Tampa at Amalie Arena on August 25th with drivers competing in three types of vehicles for points and an overall championship. Due to high-demand from fans, there are two shows in Tampa, the first at 1 p.m. then again at 7 p.m.
Tickets for the Monster Jam Tampa shows range from $15 to $95 and remember you can even purchase parking in advance for Amalie Arena to make the trip as easy as possible when in Downtown Tampa. Tickets are also available for the Pit Party to see the Monster Jam vehicles and drivers up close! The Pit Party is available for the 1 p.m. show and opens at 10:30 a.m. The Monster Jam Triple Threat Series features eight drivers competing in three different vehicles in competition for points: Monster Jam Speedsters, Monster Jam ATVs and the world-famous Monster Jam trucks in skills competitions and racing. 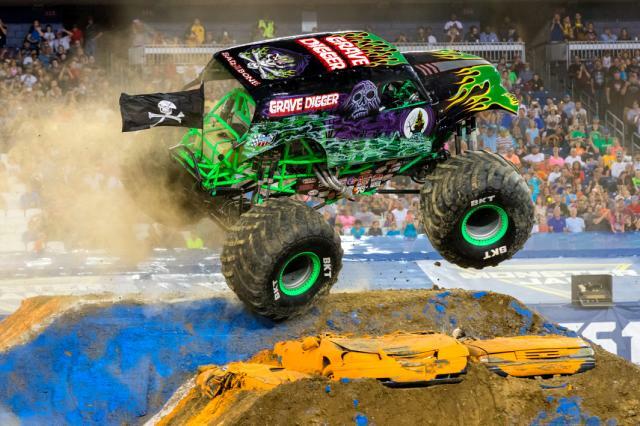 The shows feature the most famous Monster Jam truck in the world, Grave Digger! 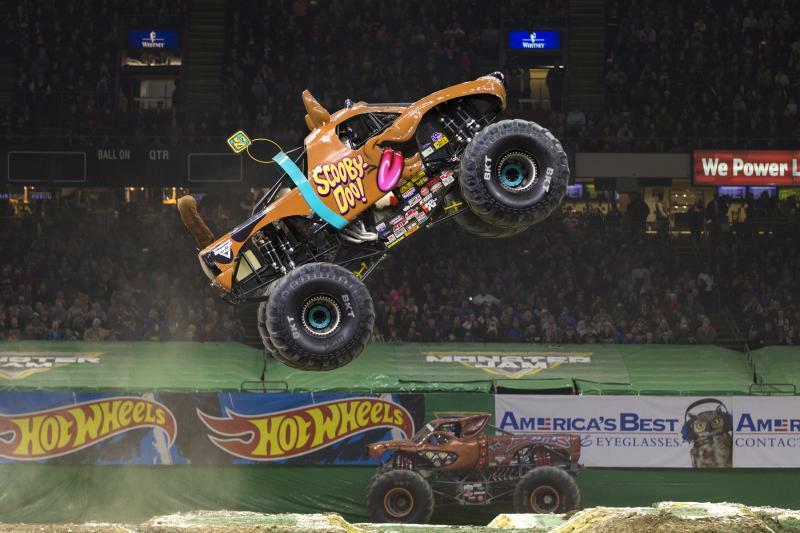 Some of the other trucks featured in the Monster Jam Triple Threat Series Tampa show include Scooby Doo and El Toro Loco, which is sure to be a hit with local USF Bulls fans. Here is the full lineup of trucks and athletes for the 2018 Monster Jam Tampa show: Grave Digger (Tyler Menninga), El Toro Loco (Kayla Blood), Max-D (Colton Eichelberger), Megalodon (Trent Montgomery), Monster Mutt Rottweiler (Jack Brown), Scooby-Doo (Myranda Cozad), Soldier Fortune Black Ops (Tyler Ochs), and Zombie (Bari Musawwir). Just like the Monster Jam stadium shows at Raymond James Stadium, fans will have the chance to vote for the truck winner in the donut, wheelie and freestyle competitions by real-time, in-arena fan voting on their smartphones. 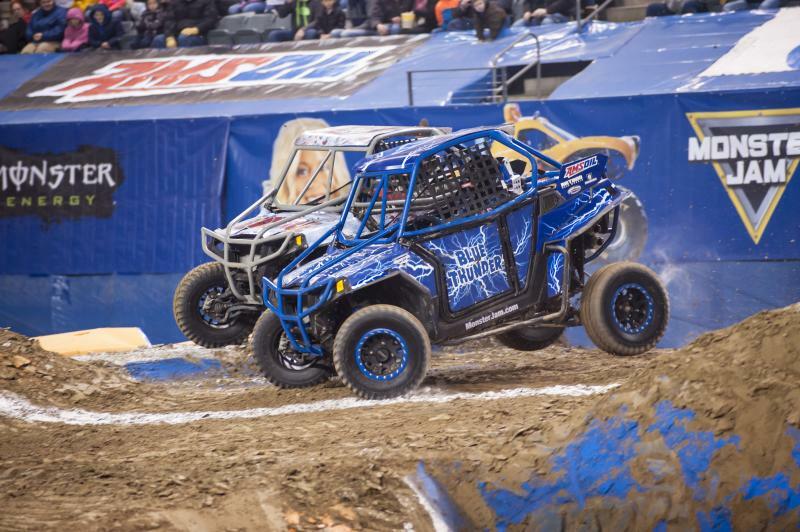 The drivers will push their vehicles and bodies to the limit in individual racing, skill competitions and an overall event championship: The speedsters and ATVs should give the Tampa Bay Lightning offense a run for its money in excitement generated in Amalie Arena this year. Amalie Arena is ranked as one of the top event venues in the country with hundreds of events each year and the most helpful, professional event staff around. The venue is at the center of Tampa Bay Lightning and arena operator Jeff Vinik's vision for the Water Street District in Downtown Tampa. Make sure to check out either the 1 p.m. or 7 p.m. Monster Jam Triple Threat Series shows on August 25th at Amalie Arena in Downtown Tampa! 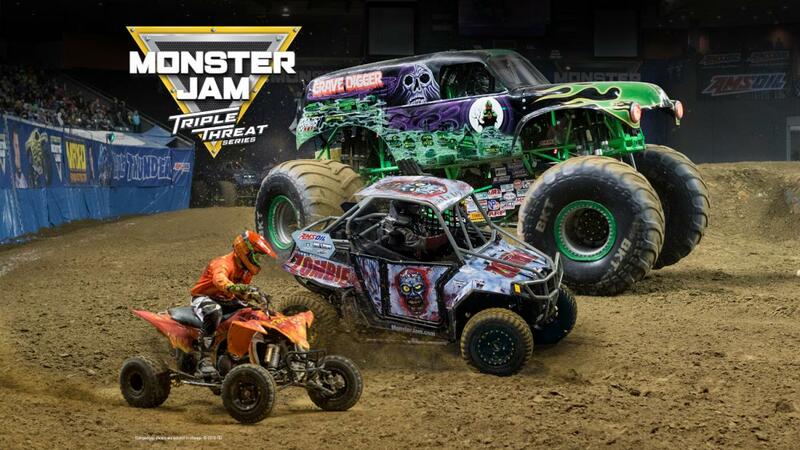 Tickets for the Monster Jam Tampa shows are available now! Want more news about events and more in Tampa? Make sure to stay with 813area.com for all the latest around town! Sign up for an account today, it's free!